The Northside Transportation Network held a meeting Thursday evening to discuss the next steps in planning both the Bottineau LRT line and forming a broader transit system for north Minneapolis. Taking a larger view on transit options is a huge step forward. Council Member Samuels previously said that choosing between the two light rail options was like having someone ask "Do you want to get passed by or run over?" The D1 route through the park or D2 down Penn force a choice between whether our community is divided or simply ignored. Neither choice is workable for successful transit-oriented development. A city staffer was present to explain the Council's position, that they support D1 and expect to take another vote in May of this year. 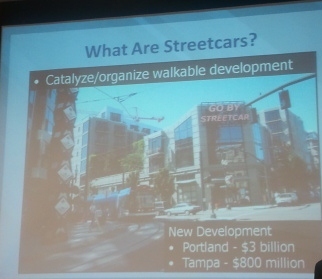 Don Samuels added a motion that we examine the streetcar option as part of the transit development and LRT alignment. Minneapolis really only has the capacity to make four LRT lines - the central corridor, Hiawatha, the southwest corridor, and Bottineau. 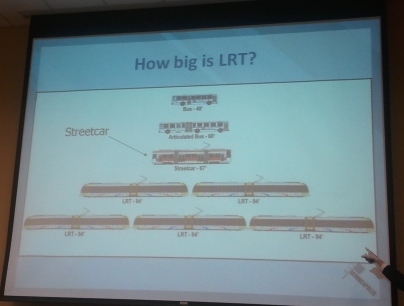 After that, we're done with LRT because there just isn't the space for it along other developable corridors. ACTION NEEDED: Call Your Council Person About Comunity Gardens and Urban Agriculture! Tomorrow the Minneapolis City Council will consider provisions around urban farming and community gardens. The language overall seems to be quite good, but Council Member Meg Tuthill has proposed several amendments that are misguided at best and would be harmful to north Minneapolis. 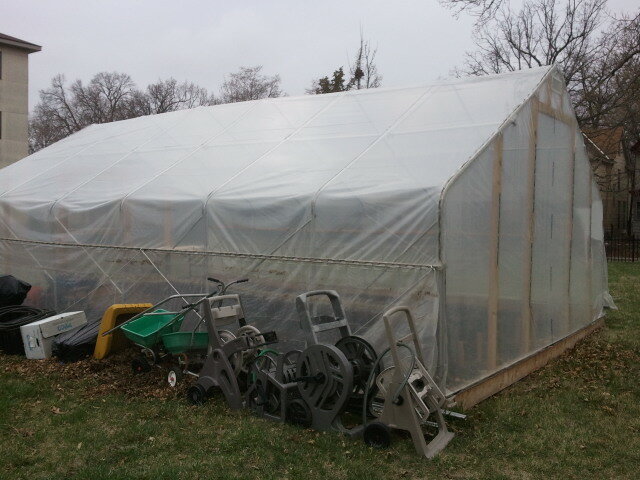 "It extends the growing season so that more fruits and vegetables can be harvested from the garden." Sometimes the comment of approval is followed by "How do I get one?" Never have I heard anyone ask, "Well, can it be shorter?" 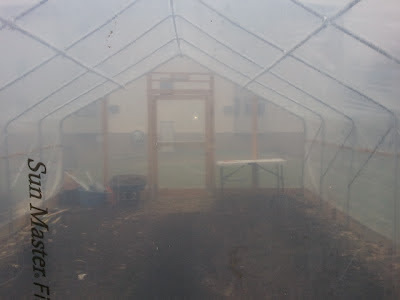 While a six-foot hoop house would be conveniently hidden from the tender eyes of southwesternites who don't want to see anything beyond their fences, the language would render hoop houses essentially unworkable and useless to the northsiders who are looking for ways to maximize the use of our land. Tuthill's amendment needs to be voted down. Johnny Northside, this is the Hawkman's gift to a soldier overseas. I was asked to get some photos of what's (not) happening with Keith Reitman's "blue twins" on 26th and Penn. Virtually no exterior work has been done since the tornado. 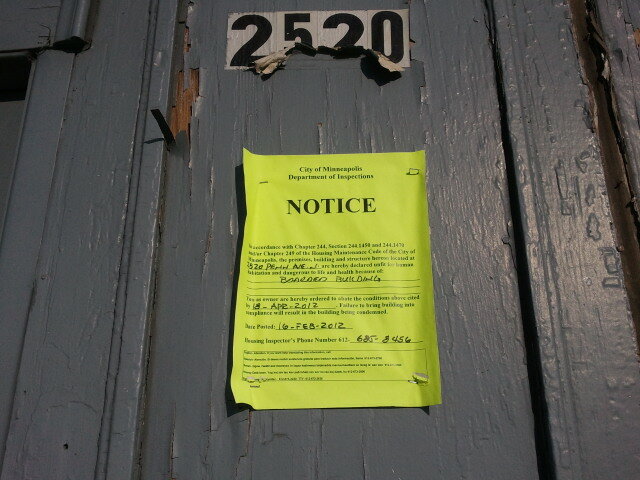 The northern house, 2522 Penn Ave N, has been registered as boarded since September 1, 2011. 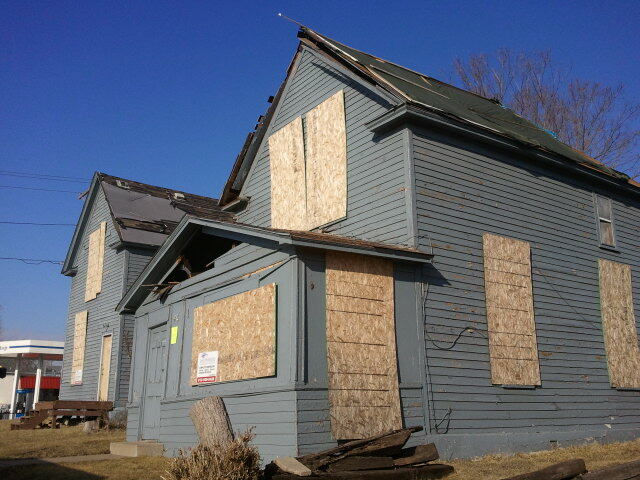 My recollection is that it's been in that state for much longer, but the city has been hesitant to penalize owners who were tornado victims. 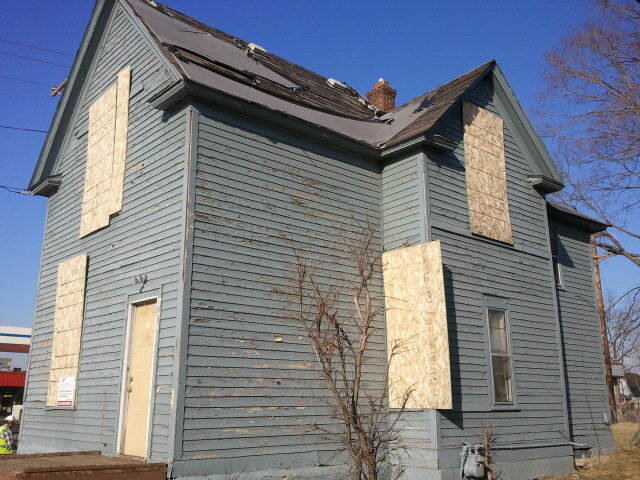 According to the city's website at the time of this posting, 2522 has had one permit pulled since the tornado, and that's been to repair and replace the roof. That permit was pulled on October 25, 2011. 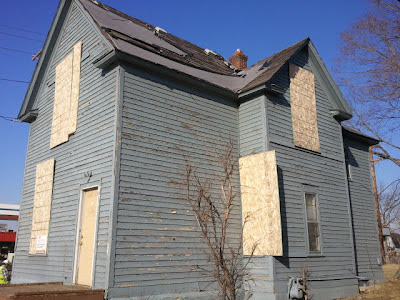 The only possible way the roof pictured in the bottom photo has been repaired or replaced is if Reitman got the houses on the historic registry for their significance at the time of May 23, 2011. A quick check with the HPC confirms this is not the case. 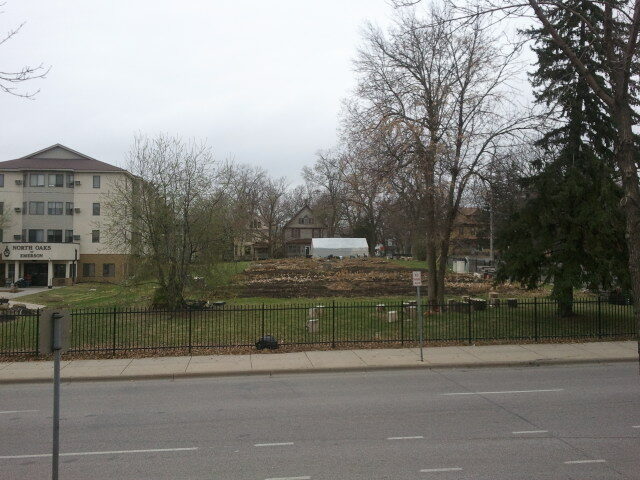 2520 Penn is actually in worse shape. The front porch (which is likely no longer a front porch, as I'd guess the house has been reconfigured to add more bedrooms) has been open to the elements since the tornado. No permits have been pulled on this property since then, it was designated as vacant on November 9, 2011, and put on the VBR list as of February 17, 2012. There is a pending $6,746 VBR fee against the property. Edna H Anderson is listed as the owner on the house (with Reitman as the taxpayer), but I can't tell who that person is in relation to Reitman. 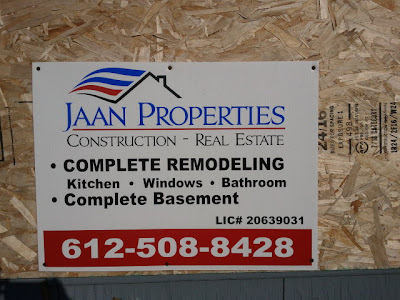 Jaan Properties has their logo displayed on both houses, claiming with no apparent sense of irony that they do "complete remodeling." But the only remodeling these two homes are likely to see will have to come from increasingly more prominent stickers from the city's regulatory services. Post by the Hawthorne Hawkman, stock image. I was once advised against openly announcing a departure from blogging, but readers have surely noticed the dearth of posts this month. I normally strive for 2-3 posts a week, and have thus far managed just three in twenty days. Part of the reason for my lack of blog output has to do with some rather good personal news that I expect to be able to write about within the next few weeks. But the main reason I've posted sparingly is because of the new Facebook group North Talk. North Talk got its start when another north Minneapolis Facebook page was abruptly shut down. During the weeks heading up to that shutdown, a North Talk page was created. However, users commented that the page format didn't have the same kind of notifications, and made it harder to interact than a Facebook group. 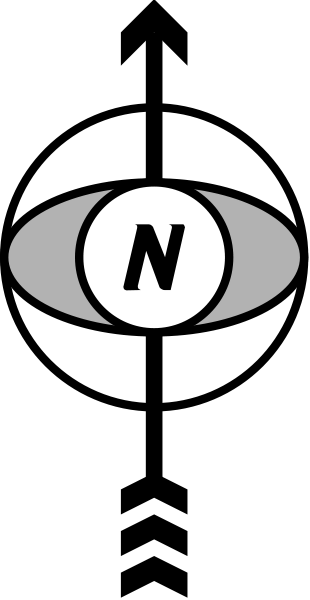 I wanted to make sure northside residents had a place to continue their dialogue, so I created the North Talk group and shut down the page. And boy did people want to talk! In the first fifteen days, the group had over 5,300 comments. I added about 100 of my northside contacts from Facebook and that number has more than tripled. At the time of posting this article, the group has over 340 members. For much of the first part of the page's existence, I was the sole administrator, which meant I had to read every single one of those 5,300 comments. We've since added three additional admins, which has relieved the burden somewhat. On top of the 340 members, the group has open privacy settings. So even non-members can view the dialogue that's happening there. I currently have no way of quantifying how many people are watching from afar, but can attest that non-members do sometimes talk with me about the page's goings-on. Since I blog on my own time, and administer the page as a volunteer effort, I only have so much time to devote to each task, and therefore made a choice. North Talk was seeing more interaction by far than North by Northside. At times, the conversations on NT get terse and are in more need of attention than the occasional blog comment. I felt that what was happening on the Facebook page was more impactful than what I could write here. So I've been more focused on that for the time being. How many times have you seen an internet conversation thread get on the topic of racism come up, only for someone to bring up Jesus and Hitler and who knows what else, and then everyone skulks away angry? Well the opposite frequently (not always, but frequently) happens on NT. We have seen topics touch on racism, then devolve a bit, and then people come around and start really exchanging perspectives and ideas until they have a better understanding of the issue and of each other. It's like the inverse of everything else on the web, and has been utterly fascinating to be a part of. I still hope to continue blogging on a regular basis, as there are plenty of topics that I hope to delve into. Light Rail/Northside transit, the Northside Food Market, community gardening ordinances, and Keith Reitman's blue twin houses are just a few posts I hope to get around to. As great as the conversations on North Talk have been, I'd like to think there's still a need for in-depth coverage of northside issues. But if you're wondering why there's not as much of that going on here as usual, come on over to North Talk and see what everyone's up to. Eating ghost peppers can be a new and exciting experience, but it is not for everyone. For example, it is not for sane people. But up until Saturday night, I've never had a hot pepper I didn't like, or a hot pepper I couldn't eventually handle. I've been the Will Rogers and Rocky Balboa of peppers and spices. That is, until I tried the ghost pepper challenge at Girvan's Grille. Here's how it works: if you eat ten ghost pepper chicken wings in 15 minutes or less, without eating or drinking anything, or wiping your face or hands, you get a commemorative t-shirt and your name immortalized on their website. The last time I ate ghost pepper wings (at a different place), I finished a dozen in eight minutes. And the time before that, I actually sent them back to the kitchen because they weren't hot enough. So this challenge should have been easy. Boy, was I wrong. First off, they do make you sign a waiver. I've never had that happen before, and that should have been a warning. But the other ghost pepper chicken wings I've eaten come with a buffalo-style glaze and little flecks of pepper on them. Here, the wings are covered in a thick ghost pepper goo, with concentrated ghost pepper extract powder on top. You almost can't tell there are chicken wings under the pile of insane spiciness. My companions and I each had our own equally meaningless strategies for how we were going to approach this. Mine was "slow and steady wins the race. Don't eat the wings too quickly or the spice will build up too fast and overtake you." Another strategy was to finish the wings as fast as possible before realizing how hot they truly were. The third approach was, "I'm probably just going to wind up crying like a little girl." It turns out that was the only plan that was remotely true to what followed. Post and image (a screen grab of an Aha! moment) by the Hawthorne Hawkman. 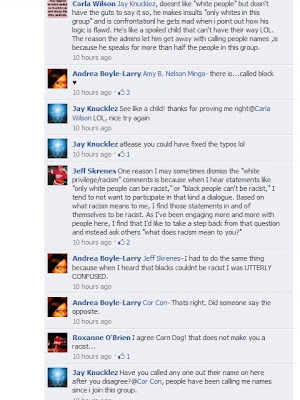 After getting the surprise hug, I went back to the discussions on race on the Get to NoMi page. For some reason, I just started viewing them in a new light. I lived in Honduras, I speak fluent Spanish, I was married to a Cuban, when I did mortgage loans, most of my business was either Latino or African immigrant clients. I attended a bilingual (Spanish/English) and bi-cultural (Latino/Scandinavian) church, where I became president of the council for a year. My best friend is Laotian, I've worked on Hmong issues in Hawthorne and helped fill up Farview Park several times for Hmong community forums, and I helped get a Hmong-speaking police officer on the day shift in our precinct. I did mission work in Tanzania, I now attend a Liberian/Scandinavian church where again I am council president. I really honestly do have close friends from pretty much every census demographic, so much so that whenever we go out to eat at a suburban Applebee's, the restaurant manager begs to take pictures of our group for use in their promotional materials. I once saw this movie where Morgan Freeman played the role of God and I wasn't even offended. I take guitar lessons, and in those lessons I frequently have what my guitar teacher calls an "Aha! moment." That's when I see a pattern in a chord progression, or learn a new aspect of music theory, and apply it to the music I'm listening to or learning to play. Whether it's learning a new aspect of the geography of the guitar or finding out that every single pop song can be played with the same four chords, Aha! moments open up a whole new way of understanding what it is I'm doing, and can even fundamentally change how I approach my lessons. Over the past week, I had such a moment in how I view the topic of (cue ominous, scary music here) race relations. 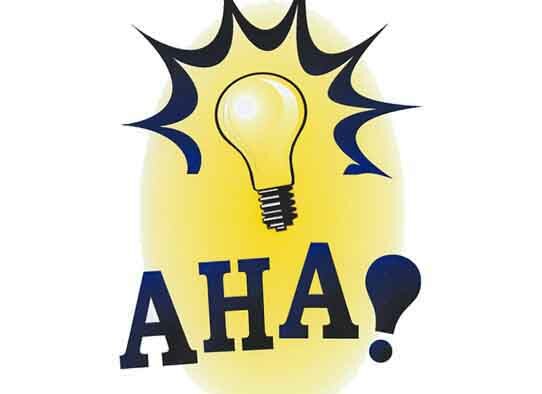 To really understand the Aha! moment about race, here's the back story: Shortly after the shooting death of Terrell Mayes Jr., a community brainstorming session was held at the Warren on 44th and Penn. That event was heavily promoted through the Get to NoMi Facebook page. That page, which had roughly 1100 - 1200 members at the time, grew to almost 1500 as people kept coming to the site to talk about north Minneapolis issues. It was even mentioned in an NPR piece about transit as a place where people in north Minneapolis were coming to interact. 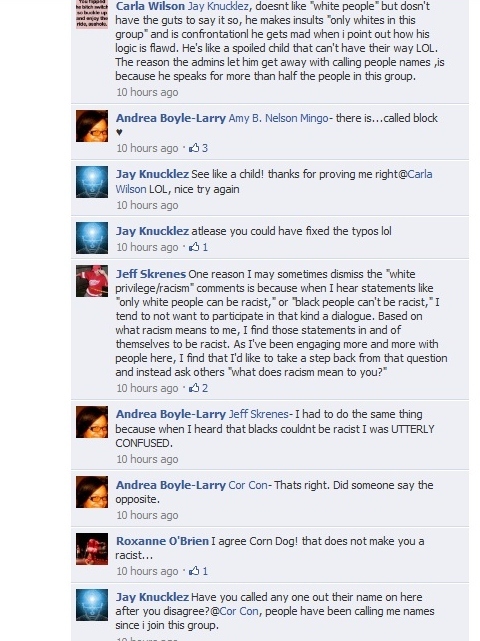 Much of the discussions centered on racial issues. Those exchanges weren't always pretty, but I (eventually, at least) found it fascinating and exciting that they were happening at all. Not everyone felt this way, and some people were disappointed that the Get to NoMi page was no longer being used as this feel-good northside business promotion site. The administrators, in a move I feel was ill-advised, opted to take the page down. The discussions have now shifted over into the North Talk Facebook page.